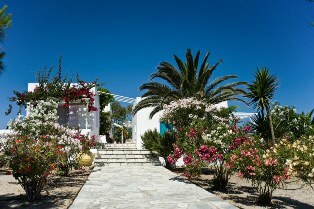 Kostantakis Studios, amongst the best Studios in Milos! 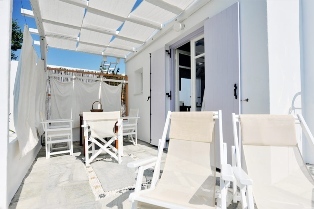 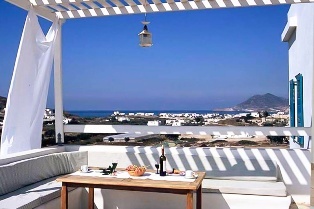 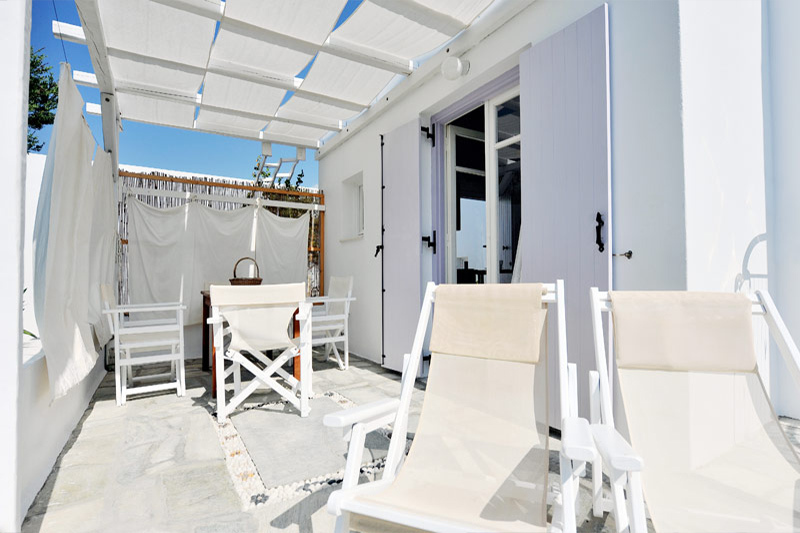 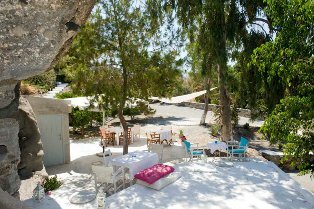 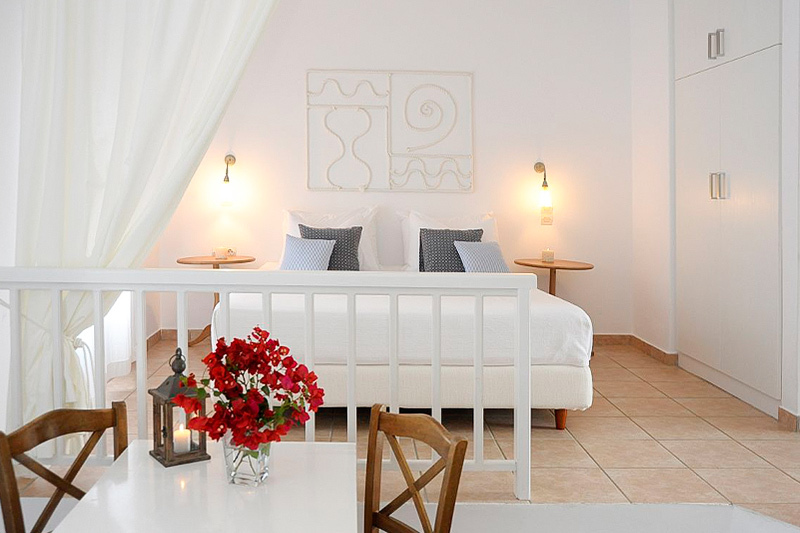 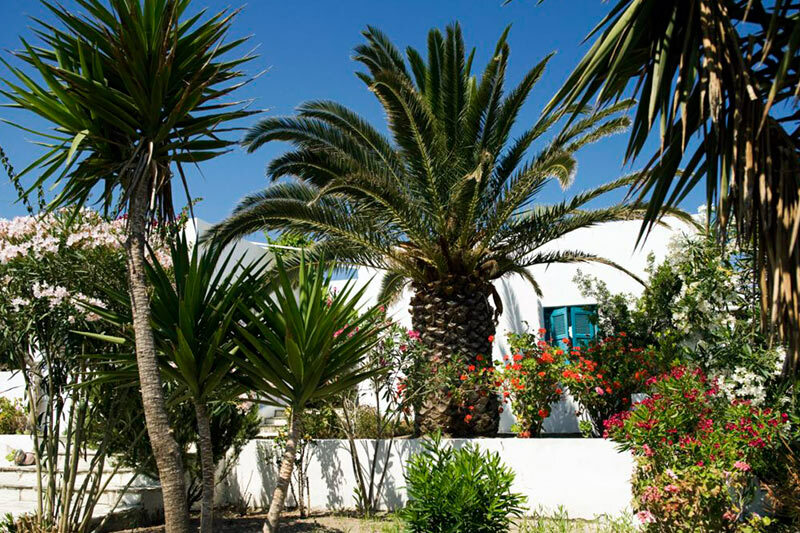 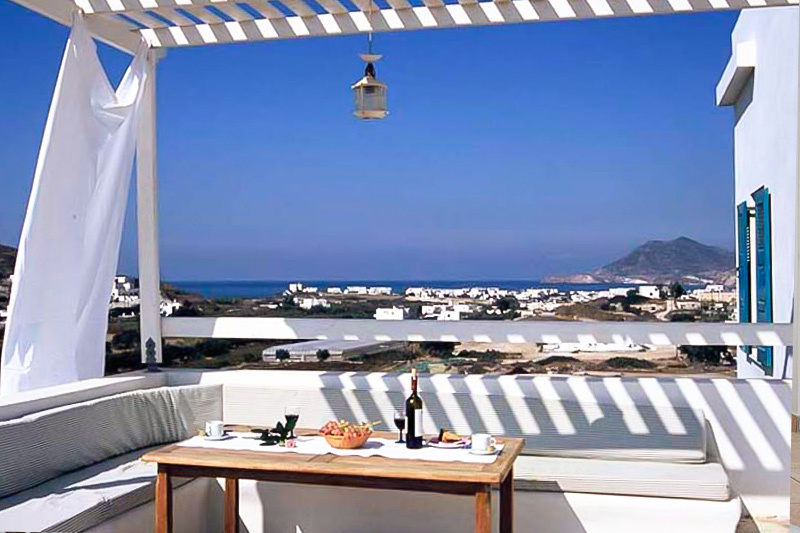 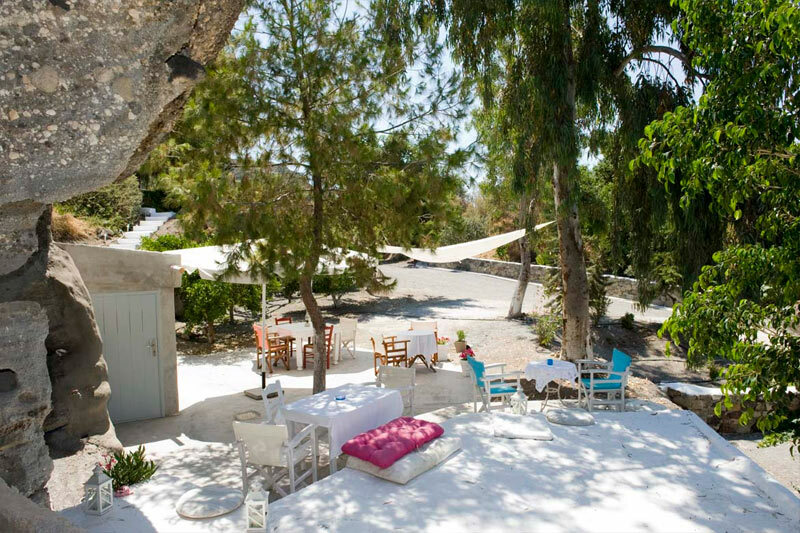 It is recommended for its quiet environment, its Cycladic architecture, its decoration and its huge garden with trees, palms and fragrant flowers. 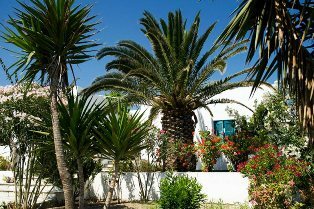 Kostantakis Studios complex is situated just 250m from the sandy beach Polichronis and 400m from the center of Pollonia. 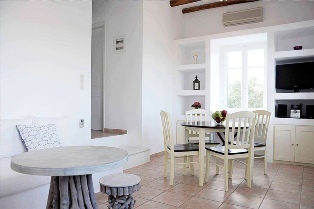 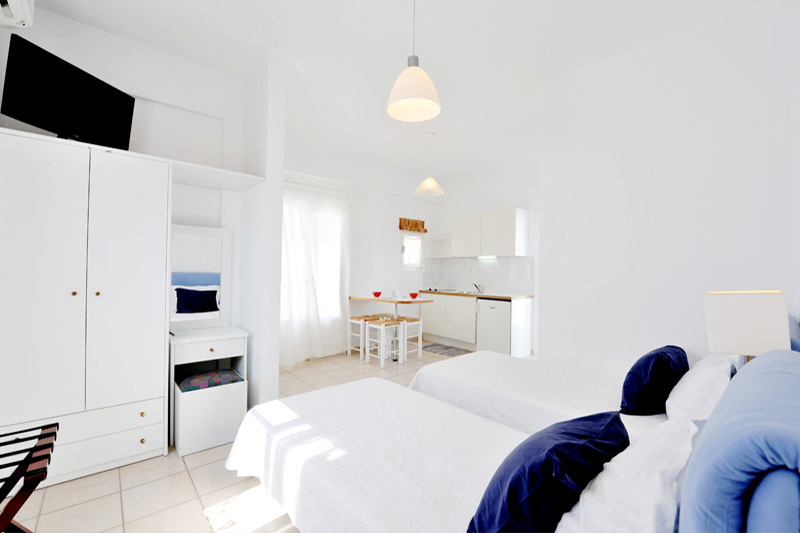 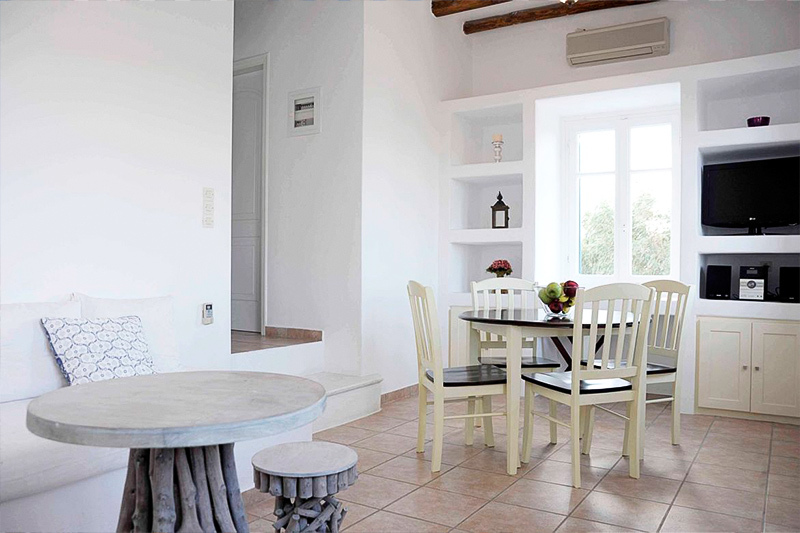 Kostantakis Studios is composed of 7 Studios two of which are Superior Studios , 1 Suite and 1 Apartment. Every studio/suite/apartment consists of a large bedroom with full-equipped small kitchen, TV, A/C, direct dial-phone, WiFi, bathroom and a large private veranda with panoramic sea view. 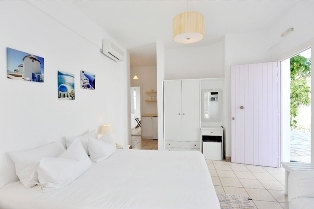 The Apartment have also a radio/CD-player. 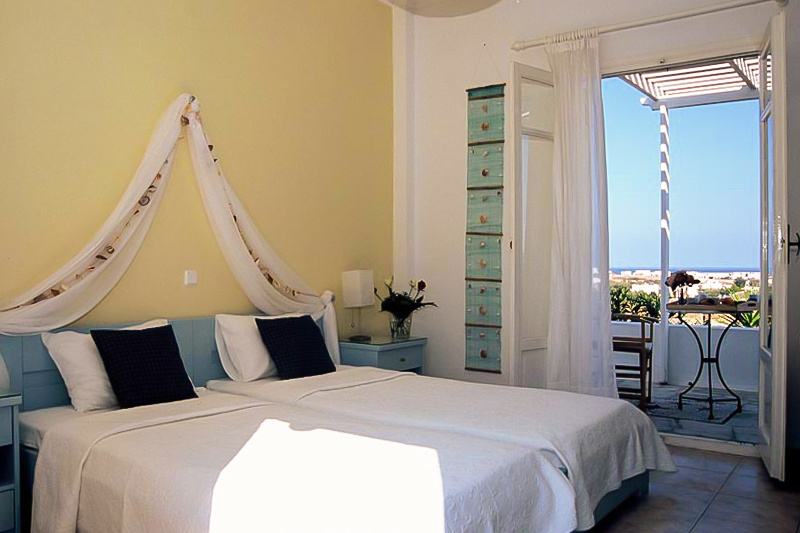 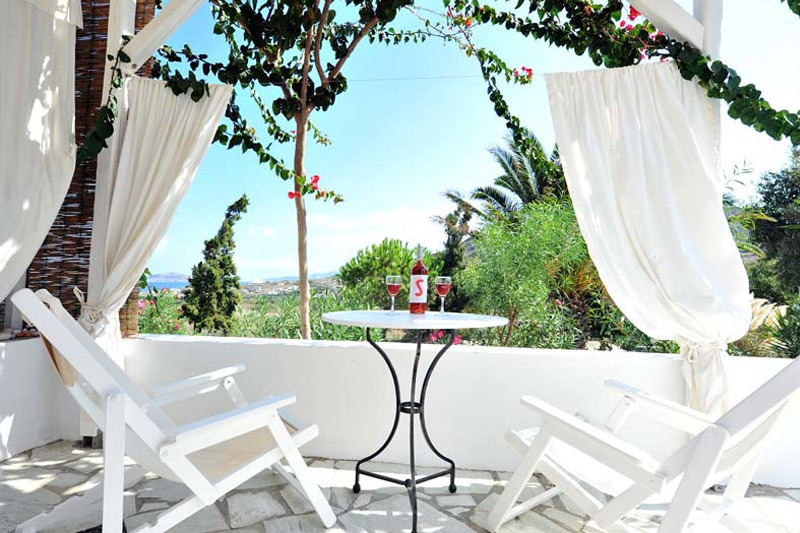 The studios also offer a very big beautifully decorated garden with sea view, where you can walk or just relax. 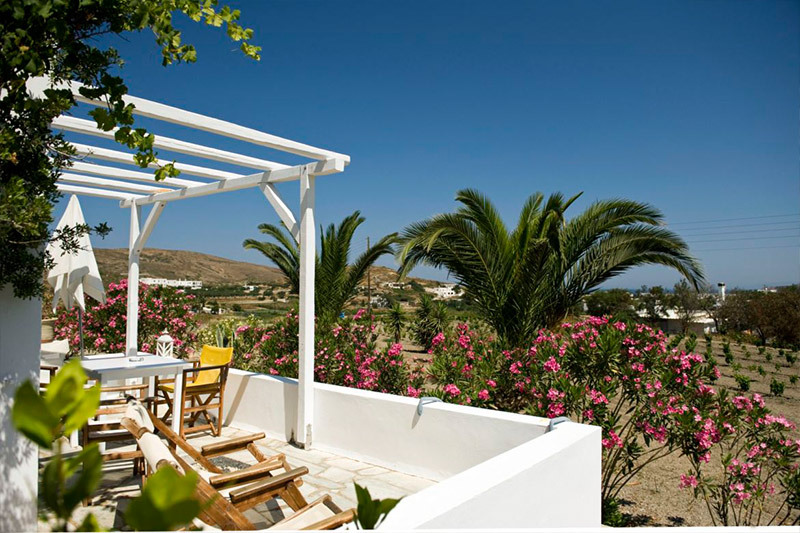 Special offers in May, June, September, October.